Lhamo Tsering is a young Tibetan woman who lives in a village with her family in the Tibetan Autonomous Prefecture, Dechen. 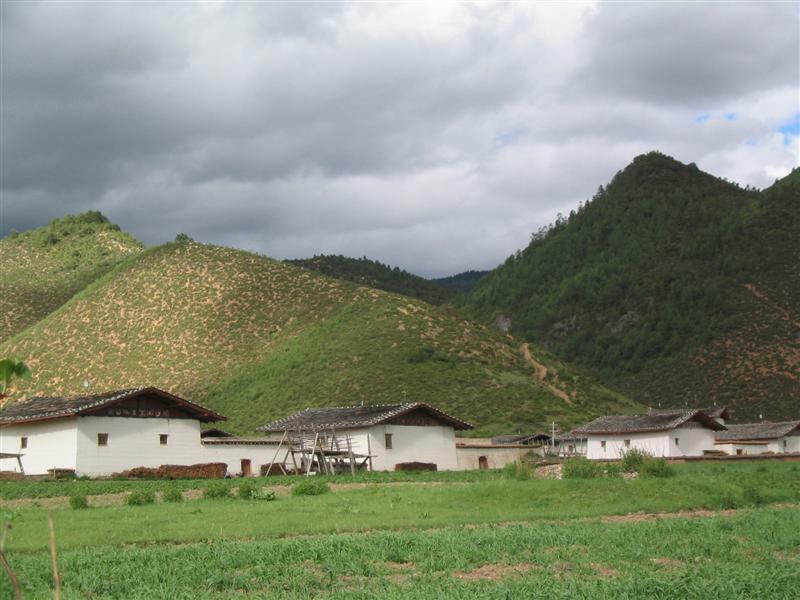 In 2003 I did anthropological research for my master’s thesis and Lhamo and her family graciously offered me to live with them. I stayed with them for seven months. 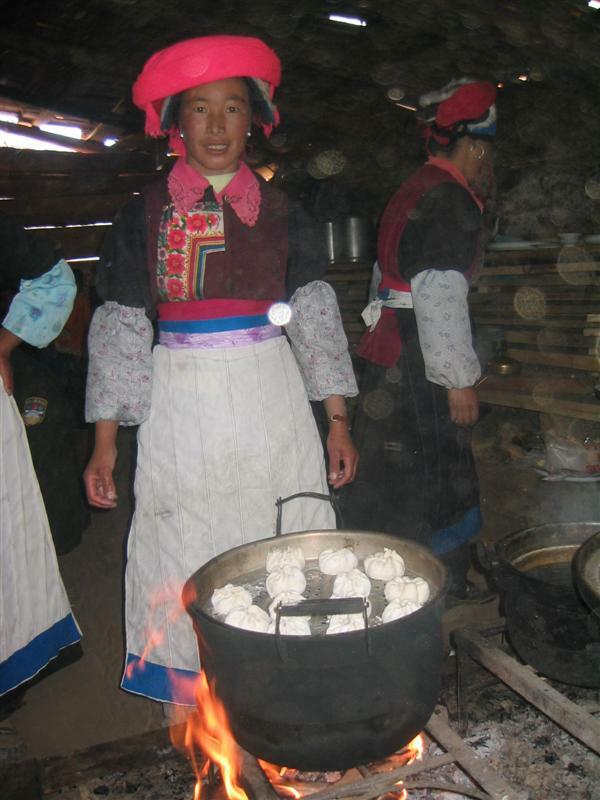 Most village houses have electricity for lighting, but for cooking the villagers normally use open fire. Nobody has internet access or a computer in their house. In the nearest town, Gyalthang town (Shangri La) [previously blogged], which is half an hour away on a bicycle, there are a few Internet cafés. Sometimes Lhamo would go with me to the Internet café and one day I had an email account set up for her. 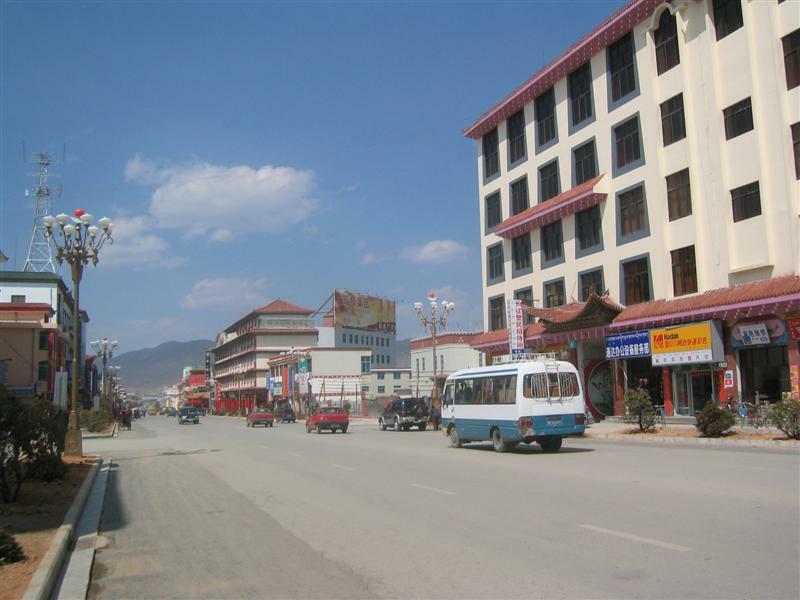 The main road in Gyalthang town. Since then, she has been emailing with those of her friends who also have email accounts and Lhamo and I have also kept in contact using email. The other day she told me that apart from emailing she has started using QQ.com to chat with her friends in Lhasa and other towns. "You can have Tibetan installed on your computer" she explains, but most of the people she knows use either Chinese or English both for emails and chats. I have just read that this railway -- the highest in the world -- opens on July 1, and suddenly I have a new dream journey to take! However, I am just staggered to (suddenly) realize just how little I know about China and the railway system there. I have a great deal to learn before I embark on such a trip! I would like to have some advice from you, dear friends. Who happen to have made a trip to Tibet? If you also want to go there, we could talk about it and maybe visit Tibet together! I would say that the vast majority of Tibetans here in Zhongdian aren't literate in Tibetan, as you need to specifically choose to study it in school. You learn to read and write Chinese by default. If people are interested in photos of the area, I have put up some of my photos here.